The failure of Liberia’s ambassador designate to France, Dr. C. William Allen to take up his new assignment has become some thing of a mystery. He was appointed in August last year. 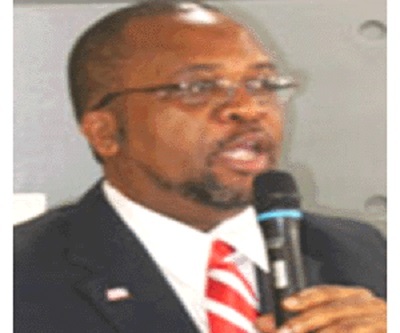 According to Liberian foreign ministry sources, Dr. Allen’s appointment did not meet the concurrence of some higher ups at the ministry and they are determined to block his move. But Horatio Bobby Willie, assistant minister for public affairs at the ministry, told Nordic Africa News on the phone on Wednesday that all is now set for the new ambassador to travel to France. He said the delay has been due to hitches in getting Dr. Allen’s papers straightened out in the Ivory Coast. However, other reports note that a deputy minister at the ministry who has a very close relationship with the out-going ambassador is determined to torpedo Allen’s appointment so that his friend can be reappointed to the post. Dr. Allen, a former information minister and director general of the Civil Service Agency, was among a batch appointed by President Ellen Johnson Sirleaf. Others, like Ambassador Rudlof Van Mos who was named envoy to the United Kingdom, have since taken up their post. Dr. Allen holds as BA degree in Journalism from Franklin College in Indiana, a Master of Public Administration from California State University and a PhD in Mass Communications from Syracuse University in New York in the United States. Dr. Allen served as Associate Professor at Virginia State University in Petersburg, the University of North Carolina, in Spartanburg, Xavier University, New Orleans and adjunct professor at University of North Carolina, Charlotte and Johnson C. Smith University, Charlotte. He has written two novels, An Obituary for Hawa Barchue (1983) and The African Interior Mission (1992).